PORTLAND, Ore.--(BUSINESS WIRE)--Planar Systems, Inc. (NASDAQ:PLNR), a global leader in display and digital signage technology, today unveiled the Planar® RA-Series™ of narrow bezel LCD displays, a new family of tiled video wall displays, optimized for demanding 24x7 applications in high-ambient-light environments. Offered in 49” and 55”, Planar RA-Series high-performance LCD video wall displays have a tiled bezel-to-bezel width of only 12.6mm to create high-impact video walls in nearly any setting - including retail stores, universities, sports bars, hospitality settings, corporate lobbies, conference rooms and museums. The displays can be tiled together in landscape or portrait orientation to create large, visually stunning video wall arrays. The Planar RA-Series provides a value-oriented LCD video wall solution without compromising on performance. With 24x7 reliability, high brightness and versatility at a cost-effective price point, the Planar RA-Series makes digital signage video walls accessible to a wider range of customers. Planar RA-Series LCD video wall displays offer enhanced brightness of up to 700 cd/m2, delivering optimal viewing in high-ambient-light environments. The displays provide commercial-grade functionality and 24x7 reliability to support extended use in the most demanding digital signage environments. For applications where downtime is not an option, a built-in source failover feature ensures continuous on-screen activity in the event of a source failure. Planar RA-Series LCD video wall displays are available in two sizes: 49” and 55”. 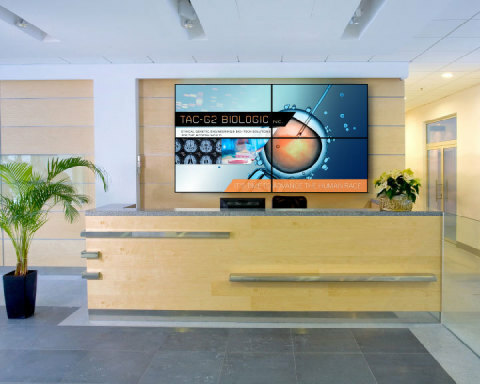 Built-in video wall scaling supports landscape or portrait configurations for video walls up to 10x10, making the displays ideal for a wide range of digital signage settings. 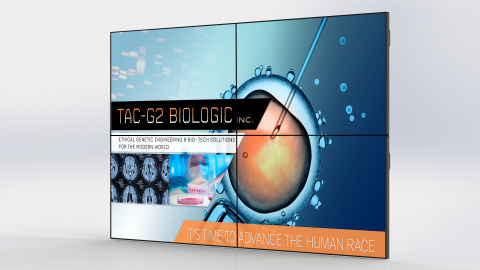 Moreover, Planar RA-Series displays have an ultra-slim depth of just 2.2 inches, rendering them compliant with the Americans with Disabilities Act (ADA) standard for protruding objects in public facilities. Multiple daisy chain options are supported, including HDMI, DisplayPort, DVI and VGA. In addition, an included Intel Open Pluggable Specification (OPS) expansion slot enables users to seamlessly integrate compatible digital signage hardware, including PCs, media players and HDBaseT receivers. Planar RA-Series LCD video wall displays will be offered at half the cost of ultra-narrow bezel LCD video wall displays on the market, extending video wall technology to a broader spectrum of companies, applications and environments. The Planar RA-Series of LCD displays will begin shipping in June 2015 through Planar’s global network of authorized resellers. For more information, please visit www.planar.com/RA. Planar Systems, Inc. (NASDAQ:PLNR) is a global leader in display and digital signage technology, providing premier solutions for the world’s most demanding environments. Retailers, educational institutions, government agencies, businesses, utilities and energy firms, and home theater enthusiasts all depend on Planar to provide superior performance when image experience is of the highest importance. Planar video walls, large format LCD displays, interactive touch screen monitors and many other solutions are used by the world’s leading organizations in applications ranging from digital signage to simulation and from interactive kiosks to large-scale data visualization. Founded in 1983, Planar is headquartered in Oregon, USA, with offices, manufacturing partners and customers worldwide. For more information, visit www.planar.com.